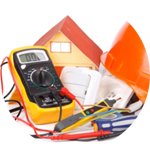 Looking for an Electrician in Kingston upon Thames? Great! You’re in the right place! Introducing The Handy Squad, London Handyman service with a team of qualified, reliable, proficient and friendly electricians in Kingston upon Thames. 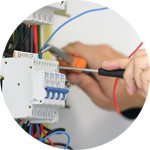 We offer a comprehensive selection of electrical based services in London for all maintenance or installation needs. No job is too big or small for our sparky in Kingston upon Thames. 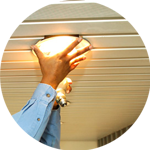 Our team can install or change lights for commercial or domestic buildings with the guarantee of a safe and correct fitting. 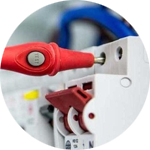 We can offer fault finding and repairs to help identify any electrical appliances that stopped functioning. Investigating broken devices can be a dangerous task, but our team have the equipment and know how to tackle the issues safely and efficiently. 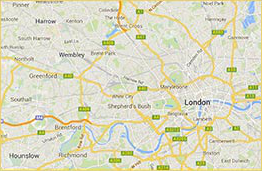 Kingston upon Thames is situated in the South West of Greater London. The area has been associated for its ancient market town which was used for the Crowning of Saxon Kings. The borough gained recent recognition during the 2012 Olympic games in London. Various cycling events such as road races and time trials took place here. The area also played host to the torch relay which saw the iconic flame travel aboard the Gloriana boat en route to the opening ceremony. We don’t just stop with electrics! We also offer carpentry in London, decorating in London, plumbing in Kingston upon Thames and of course handyman in Kingston upon Thames. So, if you want your house re painted or a shower to be professionally installed, we can offer a variety of services to get the job done! 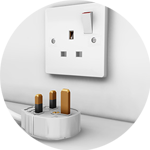 Book an electrician in kt1 today by completing the Book Online form or calling us on 0800-0-0 12 12 12.